A retraction in an obscure journal. An equally obscure retraction notice. An Israeli company with no web presence. Conflicts of interest involving authors and editors. That’s what we’ve uncovered so far after noticing the other day that the American Journal of the Medical Sciences (AJMS) had retracted a May 2010 article by a group of Israeli heart doctors led by Arthur Shiyovich, of Barzilai Medical Center in Ashkelon. The paper described promising results in a study of a new test for diagnosing coronary artery disease at the bedside by measuring aspects of a patient’s pulse at the fingertip. About the only thing that is clear is that the results of the study are unreliable and the test, for now, is dead in the water — which, judging from the last line in the notice, could well be a good thing for patients. Matters get even fuzzier from here. The AJMS paper was not the first publication about the new test. 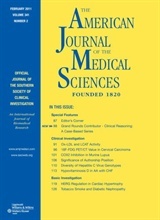 An article in the January-March 2010 issue of Cardiovascular Revascularization Medicine reported on a very similar study comparing the technique to QCA. This time, however, the lead author was an American — Ron Waksman, associate director of cardiology at Washington Hospital Center, from where some of the patients were drawn. Waksman’s name also appears among the authors — along with some of the Israeli researchers — of an abstract from a meeting of the American Heart Association and published last year in Circulation. According to the abstract’s disclosure statement, Waksman was a consultant to Spirocor and had a seat on the company’s advisory board. Same for Amos Katz, of Barzilai Medical Center in Ashkelon, Israel, a co-author of the two other publications, including the retracted one in AJMS. A Circulation staffer said the journal had not been contacted by the authors regarding the abstract, but added that the publication had no further comment on the matter. Since to our knowledge only the AJMS article has been pulled, we decided to contact the other journals to see what their plans were regarding the studies. One of those journals was Cardiovascular Revascularization Medicine. The editor? Ron Waksman. Waksman also was a co-principal investigator on a 29-site clinical trial of the heart device that was been halted late last year. A bio of Waksman we found on the web lists him as a member of the editorial board of Circulation, a connection which would make this whole affair even more gnarly, but the latest masthead doesn’t show his name. We’ve asked the journal to confirm his role, or lack of it, as well as to look into the status of Waksman’s abstract. We called Waksman’s office and sent him an email seeking comment but have yet to receive a reply. We have also emailed Katz and Shiyovich, but again received no response. For its part, Spirocor seems to have gone dark, too. We couldn’t find a website for the company, but a little digging led us to a Rebecca Chang, whose Linkedin page lists her as chief operating officer for the firm. We have emailed her for comment but heard nothing so far. “It is always challenging to detect significant coronary artery disease in patients at the physician’s office and often required a physical stress test, including nuclear imaging and often cardiac catheterization” said lead investigator Ron Waksman, MD, Associate Director, Division of Cardiology, Washington Hospital Center and professor of medicine (cardiology) at Georgetown University in Washington DC. For the moment, we have more questions than answers about this affair. Does the retraction notice suggest that someone intentionally fudged the results? Was fraud the reason, rather than the problematic “matching” that prompted Spirocor to close up shop on this technology? But here’s one thing we do know: At the very least, this case underscores the dangerous conflicts of interest inherent in being the editor-in-chief of a journal in which you plan to publish, and then promote, your own research. It ought to raise eyebrows that the AJMS paper would require retraction but the article in Cardiovascular Revascularization Medicine is unscathed. A new diagnostic method must be matched to a reference standard (often referred to as the gold standard). It is only through this matching that diagnostic accuracy of the new method can be evaluated. Incorrect matching suggests the authors lost the within-patient link between the experimental method and QCA.